There was a moment in the first half of yesterday's horrifically dull draw at the Luzhniki Stadium when a fall in the box by Denmark's Martin Braithwaite prompted a response from their fans. 'VAR, VAR, VAR' they chanted, in the hope that the match official would take another look at the French attention that preceded his tumble. Their cries were in vain, but it showed that this World Cup has created a new star, a new and significant player in the game. It is divisive and will never be universally popular but then that's generally the way most technological changes are received, both in football and in life. But there's a fairly simple way of assessing its benefits. Is VAR helping referees to get more decisions right? The answer is yes, and that's why its arrival is undoubtedly a good thing. There was a traditionalist argument against the innovation which said that mistakes from referees and the debates they create are part of the game. Those people should be happy that VAR has at least succeeded in retaining that, because there is no perfect system. A 50/50 decision is just that and there will be positive and negative interpretations. Referees will have a different take on intentions and actions and the positioning of the arm. Nothing will be ever to change that, although the hope is that consultation will lead to a percentage call. 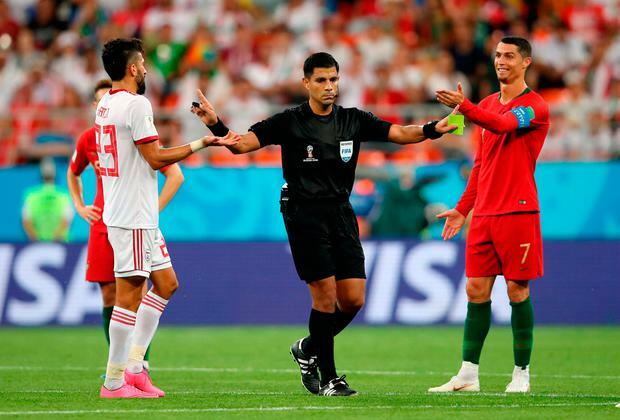 It is true that the Paraguayan referee Enrique Caceres lost control of proceedings in the dying stages of Iran's dramatic clash with Portugal on Tuesday. The VAR team did leave him in a very difficult position when suggesting that a 'clear and obvious error' had been made when Iran claims for a penalty for handball were initially overlooked. Keith Hackett, the former English referee, has since argued that Caceres' initial decision was not a clear and obvious mistake. The whole affair was messy - the biggest injustice was that he only played seven minutes of added time - yet it shouldn't be used as evidence that a whole system should be abandoned because of the absence of consensus when it comes to marginal calls. A stronger ref would have handled it better, as tends to be the way. What VAR has managed to do is correct some blatant injustices that have been missed in real time. Take, for example, the clear foul on Sweden's Viktor Claesson in their opening game with South Korea that was somehow missed at the time. Korea had broken to the other end when the mistake was realised. Ireland might have benefited from that in France two years ago when Shane Long was taken out of it by a high foot in the area before a rapid-fire counter from Belgium to open the scoring. 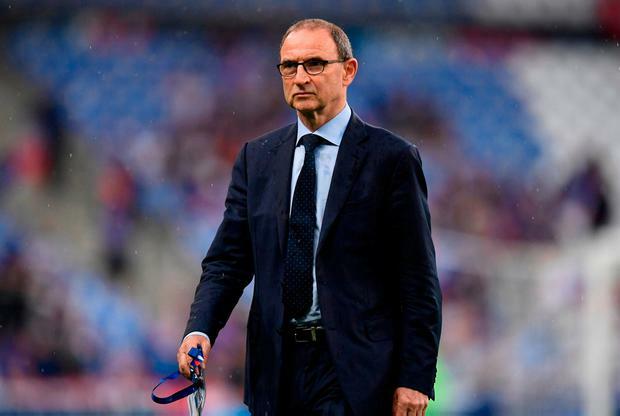 Martin O'Neill has been critical of VAR, but he would have been happy to call on it then. Mind you, his team would likely have conceded a few more penalties during his tenure too. It is fairly extraordinary that the record for penalty kicks in a World Cup (which stood at 18) has been broken before the end of the group stages. But is that really such a bad thing? How many times do we hear pundits react to replays of pushing and shoving and fouls in the box and say with certainty that the ref would have awarded a free for that offence if it was outside the area. That has always been a curious argument. Remember the shock when Ireland were awarded an injury-time penalty against Spain at the World Cup in 2002 for Fernando Hierro's tug on the shirt of Niall Quinn. Anders Frisk was viewed as some kind of renegade for applying the law. Ironically enough, VAR has still missed similar offences, but if its presence discourages players from cynical behaviour in the box - or at least gets them to think they might actually be punished - then it must be welcomed. There are valid complaints about communication. It would be informative to hear the dialogue between the referee and the lads in Moscow; this is one area that rugby has got right and it's informative too for all of the new fans that have very little understanding of the game's rules. Football has a mixed history of putting a mic on their referees. ITV's 'World in Action' put one on David Elleray back in 1989 for a cup tie between Millwall and Arsenal and the footage - which is available online - is worth checking out. Millwall had told their players it was happening, but Arsenal forgot to pass the message down. While the Millwall boys were restrained in their response to poor decisions, viewers were treated to a high-pitched Tony Adams declaring Elleray "a f**king cheat". If an audio service encouraged players to rein in the abuse, that might just be for the greater good too. The delays are unfortunate and it's only a matter of time before they are sponsored by a bookmaker. TV companies will kick up a fuss if it impacts on scheduling, but the VAR ruminations are still preferable to post-match studio analysis centred on decisions that should have been given. Just imagine how much time it would have saved us after the hand of Henry. In football, there will always be anger, and there will always be errors but VAR is helping to reduce the number of them. Hopefully it's here to stay.